Where can I find an Aliso Viejo Dentist Office? Are you looking for a reliable Aliso Viejo dentist office with an established reputation for excellence? At South Coast Dentistry, we are committed to providing our valued patients with highest standard of care and compassion. Offering a comprehensive selection of services, including the latest treatment options in general, preventive, cosmetic, and restorative dentistry, we are the one-stop solution for the dental needs of the entire family. We have helped many patients establish and maintain excellent oral health and we are confident we can do the same for you. New patients are always welcome to our state-of-the-art facility where we look forward to becoming your trusted dental care provider. Did you know that most common dental problems such as cavities and gum disease are also the most easily preventable? That is why your local Aliso Viejo dentist office places an emphasis first and foremost on the importance of preventive dental care. By coming in twice a year for a checkup and cleaning, we can help to significantly lower your risk of dental disease and spot developing conditions early on, when they are easiest to treat. An important part of any preventive care regimen is the removal of dental plaque. Plaque is the sticky film-like substance that accumulates along the teeth and gums and causes cavities and gum disease. Luckily, at our office, we provide a thorough dental cleaning to eliminate plaque buildup in the hard-to-reach areas of your mouth. For our pediatric patients, we may recommend the placement of dental sealants to shield the molars and pre-molars against decay and fluoride therapy to strengthen the enamel. At South Coast Dentistry, we have established ourselves as a leading Aliso Viejo dentist office by providing our families with the highest levels of personalized care. For more information and to schedule an appointment, please call our office today. This entry was posted in Dentist Office and tagged Aliso Viejo, Dental Exam, Dental Office, Dentist, Dentist Office, Dentistry, Family Dentist, Teeth Whitening, Tooth Replacement, Toothache on June 8, 2018 by pjdhanoa. Where Can I Find An Emergency 92656 Dentist? If you are suffering from a dental emergency, having the name and number of a reliable 92656 dentist on hand can make the whole situation much more manageable. At South Coast Dentistry, we accommodate patients in urgent need with flexible scheduling options and provide the highest standard of care. With a comprehensive selection of the latest treatment options in general, preventive, cosmetic, and restorative dentistry, you can be confident that we can address any dental problem that you or a loved one may be experiencing. With an established reputation for excellence and an unwavering commitment to our patients, you can be certain that your oral health is in the best of hands. New patients are always welcome to our state-of-the-art facility, your resource for exceptional emergency care. A dental emergency can be a frightening experience. You may be left with an impaired speaking and chewing ability and the appearance of your smile may be affected. At South Coast Dentistry, we want you to know that you are not alone. We have helped many patients overcome their dental emergencies and we are confident we can do the same for you. If you are suffering from a toothache or have recently sustained a dental injury, schedule an appointment with us right away so we can provide you with the prompt care you require. As a leading 92656 dentist, we will employ the latest diagnostic equipment to pinpoint the source of your discomfort and then design a personalized treatment plan that will have your smile looking and feeling its absolute best again in no time! At South Coast Dentistry, we have established ourselves as a leading 92656 dentist by being there for our patients when they need us the most. For more information on any of our general, preventive, cosmetic, or restorative services and to schedule an appointment, please call our office today. This entry was posted in Emergency Dentist and tagged 92656, Aliso Viejo, Dental Emergency, Dental Office, Dentist, Dentistry, Emergency, Emergency Dentist, Toothache on February 8, 2018 by pjdhanoa. Here at South Coast Dentistry, our Aliso Viejo dentist prides himself in providing our patients with the highest quality dental care. We value our patients’ health as paramount. Our dental staff understands your concerns and anxieties, and enjoys educating our patients and keeping them informed and at ease about their treatments and procedures at all times. Our dental office uses state-of-the-art equipment and technology, and the strictest sterilization techniques. We strive to make each dental appointment pleasant and stress-free; serving the Aliso Viejo community to the best of our abilities is always our number one priority. Our Aliso Viejo dentist offers comprehensive dental care to our patients ranging from general, preventive, restorative and cosmetic dentistry. From a thorough initial exam, to treating cavities and preventing them with fluoride and sealant treatments, to teeth whitening and dental crowns and implants, having a beautiful smile isn’t only about the aesthetics; maintaining dental health and hygiene is essential to one’s overall well-being. Dr. Pouria Maleki graduated from the prestigious school of New York University NYU in 2006 with his Doctor in Dental Surgery (DDS) degree. After spending over four years in New York City, he came back to his native Southern California. After practicing for five years as an associate and supervising dentist, Dr. Maleki felt the passion and urge to go out on his own. Dr. Maleki’s passion and love for dentistry as an art is evident by his countless hours of continuing education and study clubs. His humor and genuine compassion for his patients makes him unique and one of a kind. Children love him and dental phobics forget their apprehension and fear when they visit him at South Coast Dentistry. You will enjoy his love for all people, his staff, and his patients when you visit, too! 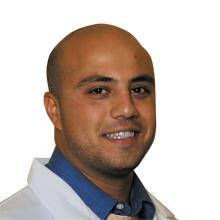 Dr. Maleki’s experience and realistic, individual approach to you and your family will put you at ease. He will take the time needed for you so that you understand what your options are and how to best accomplish your goals. He has a wide range of knowledge and experience in the field of dental health, and we are excited for you to meet him. Make an appointment with our Aliso Viejo dentist by calling, (949) 274-9086, today! This entry was posted in Aliso Viejo and tagged 92656, Aliso Viejo, Dental Exam, Dental Office, Dentist, Dentistry, Emergency Dentist, Toothache on November 8, 2017 by pjdhanoa.